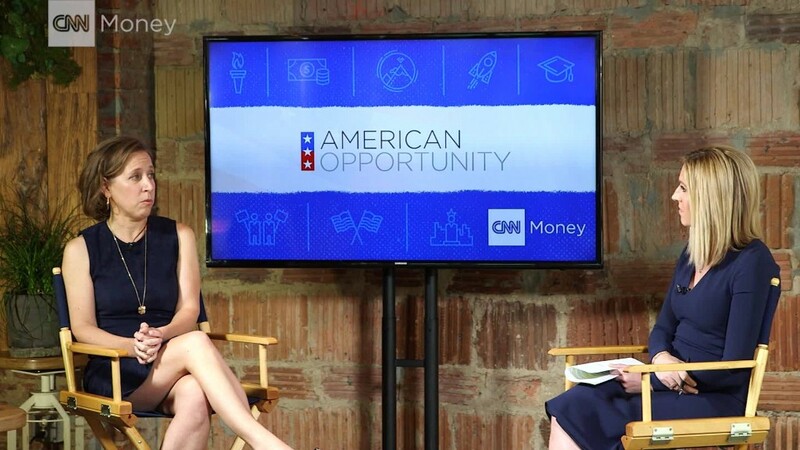 Ivanka Trump has a dream: That all new mothers and fathers in America can take paid time off to bond with their kid(s). She's convinced her father to make "paid family leave" a priority. It's in Trump's budget plan, and now she's pushing Congress to act. Her efforts got a big boost on Tuesday from both the right and the left. A bipartisan group of Washington DC's top scholars put out a report calling for the U.S. to enact paid family leave. The report title that says it all: "Paid Family and Medical Leave: An issue whose time has come." It calls for eight weeks of paid leave for mothers and fathers. New parents would be eligible to receive up to $600 a week. "It's really true that no matter which side of the aisle you speak to, people agree the U.S. needs a paid family leave policy," says Aparna Mathur, a scholar at the American Enterprise Institute, a right-leaning think tank. AEI and the Brookings Institute, a nonpartisan research group, issued the report. The U.S. is the only developed country in the world that does not have a national paid leave policy for parents. Poll after poll shows that the vast majority of Americans want this. A poll last year by Fortune and Morning Consult found 83% of Democrats and 71% of Republicans supported it. The AEI-Brookings plan is being heralded as a great compromise between the right and the left. "None of us found this compromise entirely to our liking," the report states, but "we believed this was better than doing nothing." Ivanka got a sneak peak of the report before it came out. She tweeted praise for it on Monday night saying, "It's time to make America great for working families." A source familiar with the meeting between Ivanka and the report's authors says the first daughter "loved it," and that she is very open to any policy proposals to achieve her goal, even if they differ from ideas put forth during Trump's campaign. In short, Ivanka is ready for a deal. Donald Trump had originally called for six weeks of paid leave for new moms. Women's advocates bashed him for putting forward a half-baked idea that didn't even include dads. Once he took office, Trump expanded his plan to include all new parents, whether they adopt or have a natural birth. While there's a lot of support to help parents out, the big question is: Who should pay for these benefits? The Trump administration wants to fund it through state unemployment insurance plans, but there is a lot of concern that there won't be enough money. The AEI-Brookings proposal calls for a compromise: A small payroll tax -- similar to Social Security or Medicare taxes -- to pay for it along with spending cuts in the federal budget to free up more money to make this happen. Workers would need to have put in at least 1,000 hours with their employer before they would be eligible for the leave. Currently, only 13% of U.S. workers in the private sector have access to any sort of paid family leave, according to the Labor Department. Companies like Google (GOOGL) and Facebook (FB) have generous policies where they pay new moms and dads for months. Netflix goes even further and offers unlimited paid leave. But those benefits aren't available to many middle class and working class families. American workers are eligible for up to 12 weeks of unpaid leave under the Family and Medical Leave Act. All the scholars involved in the report agreed that FMLA isn't good enough, especially for working class families who can't afford to forfeit the income. 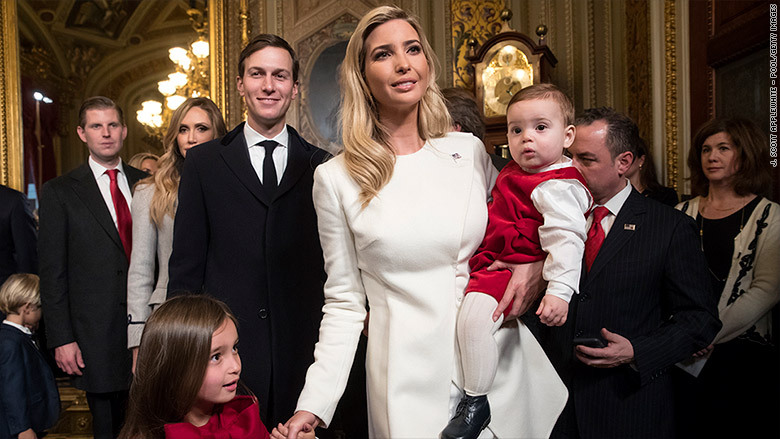 What Ivanka is doing is "an important first step," says Victoria Budson, executive director of the Women and Public Policy Program at the Harvard Kennedy School.